Ever thought of food as time capsules? Everyone can think of some food that instantly transports us back to an exact place and time in our lives with its unique combination of taste, scent, and texture. For me, some of these traditional Chinese confectioneries bring me back to long childhood road trips from Kuala Lumpur, Malaysia up to the northern city of Ipoh along the old North-South trunk road (before super highways). These Hup Toh Soh (Chinese Walnut Biscuits) were sold in some specific towns along that road, namely Kampar, Bidor, and Gopeng. The Chinese communities in this particular region came from Guangdong Province and brought their Cantonese-style biscuits with them. As one travels even further north of Ipoh, the trunk road snakes through the narrow mountain pass of Bukit Berapit and descends towards the northern coastal plains. The food scenery changes as the Hokkien (Fujianese) food culture predominates. 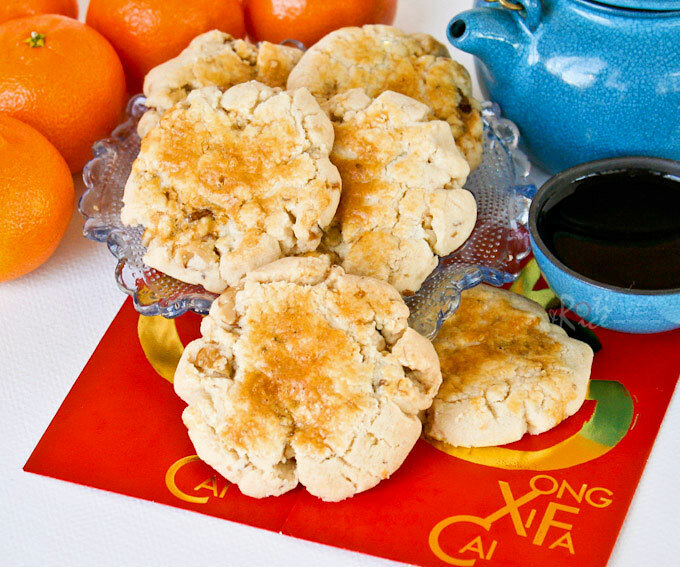 The type of biscuits found among the Chinese communities there are totally different with sugar-filled puffs and sweet peanut crumbles filling the shelves of small town confection shops. 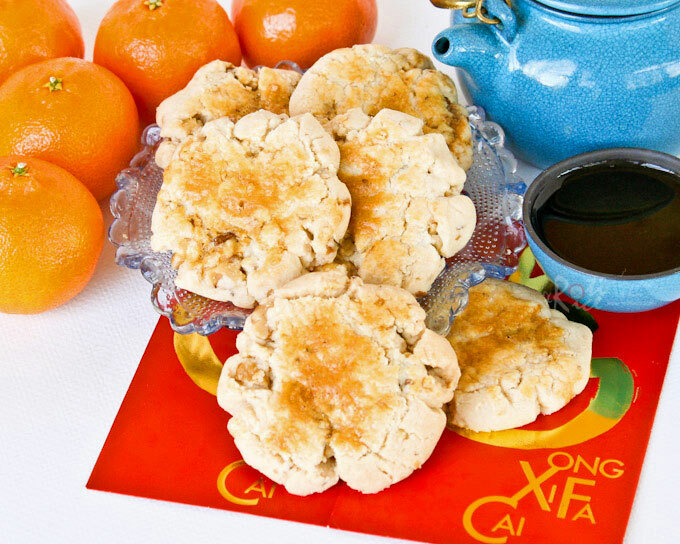 In both types of Chinese communities, these local biscuits fulfill the need for wedding dowry gifts and also festive day offerings, just like the Lunar New Year. The southern region also have their own specialties. With all things regional, there is often rivalry but we embrace it all in Kuala Lumpur, the central region. To figure out a food’s origin, one will just have to know in which dialect the food is named in. Hence, tau sar piah (mung bean biscuit), hiong piah (puff biscuit), and kong th’ng (peanut crumble) are from Penang down to Taiping. Yee chai peang (ear lobe biscuit), kai chai peang (chicken biscuit), and Hup Toh Soh (Chinese Walnut Biscuits) are from Ipoh southward to Kuala Lumpur. Back when I was a kid, these traditional biscuits were very popular for the many Chinese festivals celebrated. People pre-ordered and purchased boxes of biscuits from their favorite biscuit shop. This was because full sized ranges with ovens were not common. Some families did have round tabletop ovennettes but the capacity was relativey small. Homemade cakes and goodies were either steamed, deep fried, or cooked over charcoal braziers. 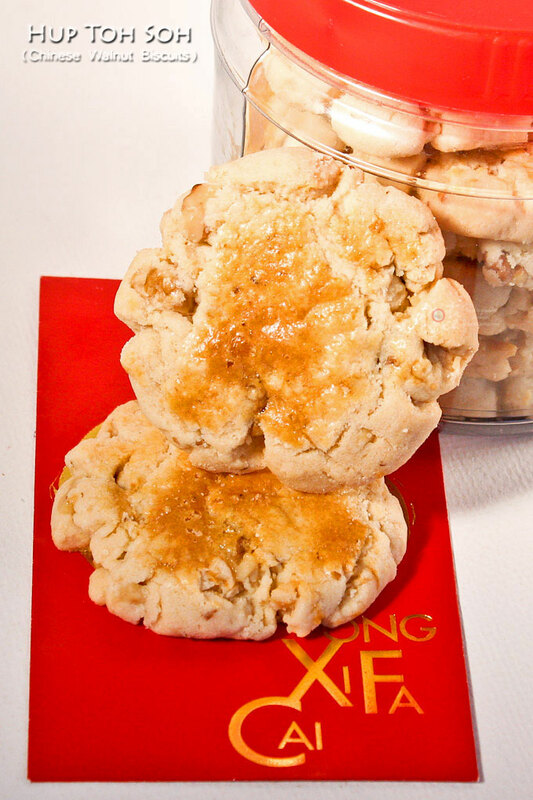 In my teenage years more and more people began to have ovens and all kinds of “new” goodies like almond cookies, cashew nut cookies, and cherry cookies started appearing for the Chinese New Year. Combine all-purpose flour, baking powder, baking soda, salt, sugar, and chopped walnuts in a large bowl. Mix well. Add butter and knead into a smooth dough. This takes about 5 minutes. Divide dough into 16 portions. Roll into balls and place on a cookie sheet. Using the back of a spoon, press down onto dough. Brush top of cookies with egg wash. Bake in 325°F (165°C) oven for approximately 30 minutes. Remove and cool in pan for 10 minutes. Transfer onto wire rack to cool completely. Store in an air tight container. I love these walnut cookies! They are always fun to have during Chinese festivals such as the upcoming Chinese New Year! I never thought of making these at home but your recipe explains it very well. Thanks for sharing! Hi Biren, I am definitely going to try these at home for the upcoming lunar new year. 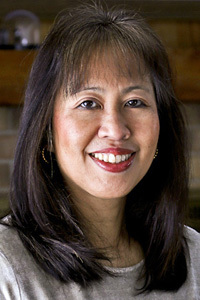 Yes, This definitely evokes fond memories of our childhood in Malaysia…thanks for the recipe! Thanks Cynthia for visiting! Yes, they do evoke fond memories and it seems like such a long time ago. I think you will enjoy the recipe. Wishing you and your family a very Happy and Prosperous New Year! First time I see these biscuit. They must have a rich taste. I picturing them with orange marmalade, yummy! What a beautiful evocation of driving through Malaysia! I don’t normally associate baked goods with Chinese cuisine, but these prove me wrong. They look delicious and very adaptable too! Long time did not have this Hup Toh Soh. Also reminds me when I was a little girl and used to buy this biscuit at the traditional confectionery shop. A lovely trip down memory lane – I’d forgotten about this biscuit and the others between Penang and Kuala Lumpur. I love this biscuit because of the nuts and the size – a massive 6″ diameter was what I remembered most from this bakery near my childhood home. I remembered my mum breaking the biscuit into two for me to share with one of my siblings, and we would bicker about who got the most nuts in their portion…. Gosh, with CNY so near, I must find some time to make this – I still have two bags of walnuts left over from Christmas baking. Thank you for the recipe. Wishing you and your family a lovely reunion dinner this sunday to usher in the year of the dragon! Beautiful cookies, love all the walnuts inside! Enjoy your New Year’s celebration! These sound terrific with walnuts! I guess my weight-loss plan is not going to happen soon…those walnut biscuits look amazing! Looks so delicious…..New Year diet will have to wait…..
Those cookies look quite deliciously crunchy! And it is no nice to revive traditions! My mom is a fan of walnuts & I enjoy eating the walnut cake at begawan solo. Great share, Biren! Yes, I remembered eating this biscuit and also those biscuits you mentioned are still my favorites:) Bought quite a few back from my recent trip to Penang:D Your version looks pretty simple and delicious, I shall have to bookmark this too! Your walnut biscuits sounds delicious, Biren! Thanks so much for sharing with us your wonderful traditions! I heard from a Chinese pastry chef before that these biscuits made by most Chinese restaurant does not contain any walnut inside except for just one piece on the center of the biscuit to indicate that this is Hup Toh Soh! Your homemade ones are great and they made with lots of love and real ingredients! This post is really interesting, Biren! It sounds like the food scene changes in Malaysia just as it does here going from one end of the country to the other. The biscuits sound really delicious, being filled with walnuts. Great writing, Biren! I am a big fan of these cookies! Yours look lovely. I hope to bake some peanut cookies in time for the festivities 🙂 Have fun! These look really rustic and dellicious,inviting to send some recipes to flavours of Singapore currently running at simply.food. What a wonderful childhood memory! I have a couple of childhood food memories myself, mostly related to my grandgrandmother. I love walnut and these cookies sound like a keeper. Hi, thanks for sharing this recipe, I really like to try it but it seems like you have omitted the amount of flour used in the recipe so could you please let me know how much flour is used? Thanks in advance. Hi, thanks for sharing this recipe, my family loves it, especially my mother-in-law. 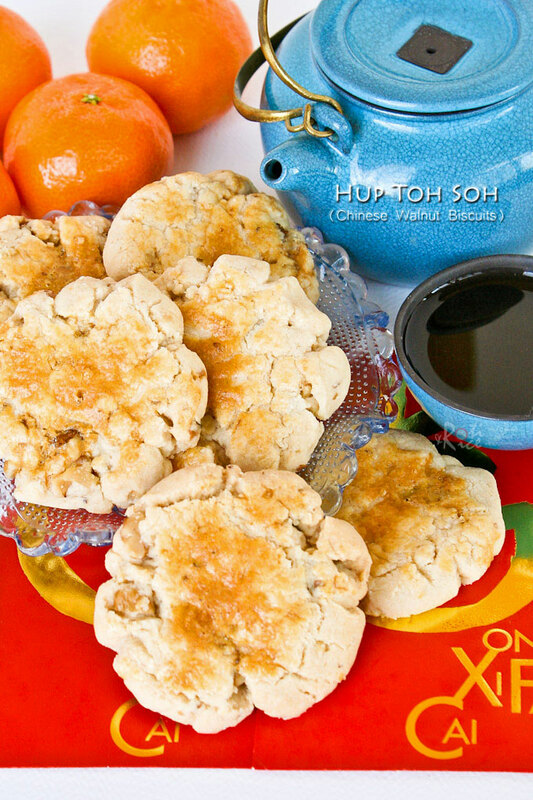 Will make these cookies for the coming Lunar New Year. Your cookie looks exactly as I how remembered it. Do you sell these online? Sorry, I do not sell them online. Happy Chinese New Year! I made these cookies on the weekend and they were AWESOME!. Maybe include in the ingredients to use raw walnuts however, because I did what most recipes require and used toasted walnuts that led to them being slightly overbaked. Anyways, this recipe was still wonderful and deserves wayyyyyy more ratings. I am definitely keeping this recipe XDDDDDDD. Note: Make at least two batches because this recipe is YUM and will be gone reallyyyyy quick! So glad to hear you enjoyed the recipe. I made a double batch myself this year because they do go quickly. Happy Chinese New Year to you and yours!